These are the words of Father John Fahey, describing the perilous order for Australian soldiers to rush up the 45 degree hills of the Gallipoli peninsula, into the territory of the ferocious Ottoman Army, following the landing at Anzac Cove on 25 April 1915. 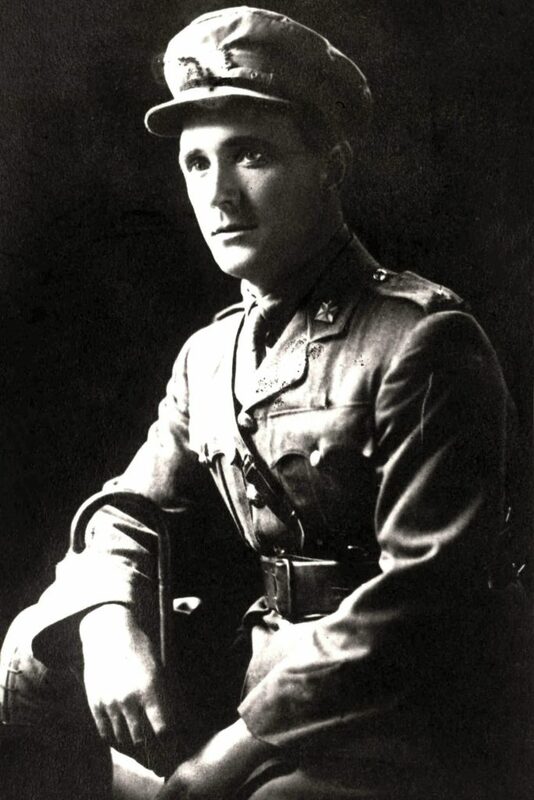 Fr Fahey, an Irish missionary who arrived in Western Australia in 1907, was chaplain to the 11th Battalion of the 3rd Australian Brigade, and among the first to reach the beach during the assault. His surviving letters – preserved by the Archives of the Catholic Archdiocese of Perth – provide a vivid account of the hell the Australian soldiers experienced and an important opportunity for reflection ahead of Remembrance Day on 11 November. “There was a dreadful slaughter in the boats,” Fr Fahey wrote in a letter to then Archbishop of Perth, Patrick Clune, dated 16 May 1915. “First the cox was shot, then an oarsman fell dead across my feet; then a bullet came through the boat and grazed the puttee on my leg, then another of the men collapsed without a sound and we knew he was dead, and so on. According to historian Ruth Marchant James, author of the biographical article Major John Fahey DSO: War Chaplain and Hero, Fr Fahey went onshore at Gallipoli contrary to the rule for chaplains to wait until the beach had been secured. He was subsequently awarded a Distinguished Service Order for his bravery – the only chaplain awarded a combat medal in the Gallipoli campaign. In his letter to the Archbishop, Fr Fahey said he remained on the beach for the entire day and night of the landing, “attending to both soul and body” among the many dead and wounded. The following days and weeks did not get any easier for the soldiers, with Fr Fahey declaring that “nowhere is safe” from the Turkish artillery, who “know all the ranges perfectly”. “I do not know if I shall get through this for we live from minute to minute but, in case should not, I wish to mention here my appreciation of Australian soldiers,” he wrote. “They are splendid fellows, every one, and I am so glad to be associated with them. Nothing could excel their courage and their cheerfulness in the most trying positions. Despite several close calls at Gallipoli, Fr Fahey survived the campaign, only for his battalion to be sent to the Western Front in March 1916. In a letter to Archbishop Clune dated 29 July 1916, he compared the fighting he had seen in France with his experiences in Turkey. “Whatever I have said in previous letters about the horrors of war, I wish now to withdraw. I must admit that I have not seen the real thing until the last fortnight,” he wrote. “Even if the censorship allowed me I shall make no attempt to describe what I have seen at the Somme. It beggars all description”. Fr Fahey returned to Western Australia a hero in May 1918, greeted by a large crowd at Fremantle, and is acknowledged as being the longest serving frontline chaplain of any denomination during World War I. He was one of the lucky ones – of the approximately 417,000 Australian soldiers who enlisted during World War I, more than 60,000 lost their lives.